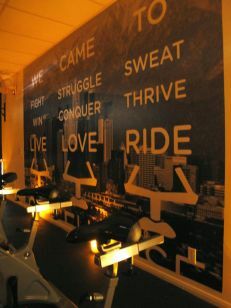 There are truly so many fantastic things to say about Cycle House LA, the newest Spin Studio to hit the West Hollywood area. For starters, they donate two meals to someone in need for every single class taken. Then, there’s the fact that they are a green studio, fully committed to promoting conservation within the walls of their studio, which is spotless and has a cozy, yet modern feel. And finally, they have some of the best instructors in town! On top of all this, you’ll not only experience a challenging, and sweat-drenched spinning workout, but you’ll also incorporate some light weight training while sitting atop your bike. As a bonus, your first workout is free. There are no excuses not to check-out one of LA’s all-around coolest workout spots. While all of the instructors will bring their own creative spin to the workout, we really recommend Nichelle and Nayda, two of our favorites! The studio is located off La Cienega Blvd just steps away from two other great places: TRAIN and Studio Soma. 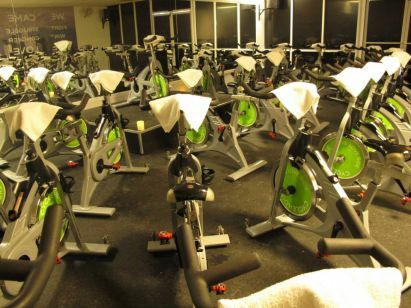 I’m pretty sure that my class at Cycle House was my best spinning experience in LA to date. I decided to check out the studio because I heard one of my favorite instructors, Nayda Pineiro, was teaching there. I wasn’t able to take her class on my first day, but it turned out for the best because I was introduced to another absolutely amazing instructor, Nichelle Hines. The studio is in a great location, tucked back in the courtyard area behind TRAIN on La Cienega. The studio is simple, but beautiful inside. The bikes are top-of-the-line and placed fairly close together which gives the class a very cozy, united feel. I thought Nichelle’s music and energy were perfect. She kept us motivated throughout the workout by barking commands (in a nice way…but with power!) and calling out individuals during the class and telling them to “give her more.” The weight training aspect was fantastic. It really helped break up the usual monotony of straight spinning and added a nice upper body challenge. I found out that the studio was green when I attempted to buy a bottle of water, having forgotten mine. To conserve waste, they allow students to purchase BPA-free reusable bottles and fill them up in their filtered, alkaline water cooling system instead of selling plastic bottles. It was awesome. I filled up my bottle with fresh water AND ice! After the workout, they hand out cold towelettes too! 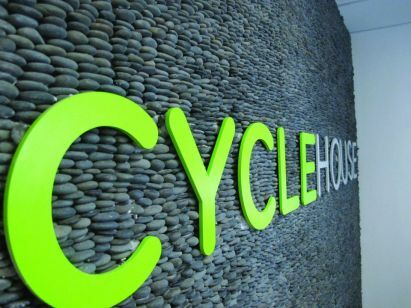 I loved everything about Cycle House and can’t wait to go back and take Nayda’s class!